Who will be taking his/her last bow tonight on stage? Who will you be rooting for? i hope agnes win..:) i mean inside the competition…. haha.dasmond.do you support any particular css participants?haha. hey u’ve swopped teri and joanna’s songs. 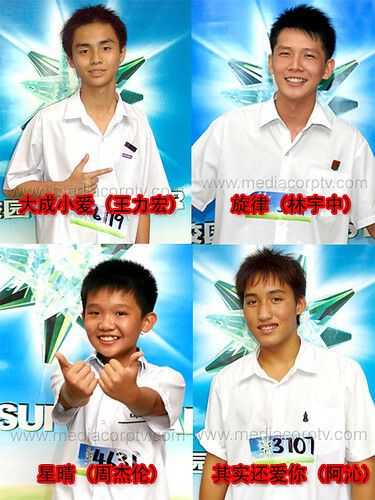 yeap yeap… pai seh, F3 and F4 song shld be the other way round… ha! p/s: jus wanna drop a note to say that Teri’s a good gal, really positive attitude. A pity she’s leaving the competition so soon.